In March, Mary O’Riordan, Ph.D., associate dean for graduate and postdoctoral studies, became the Frederick C. Neidhardt Collegiate Professor in the Department of Microbiology and Immunology. The professorship honors Neidhardt, a pioneer in the field of microbial proteomics, professor emeritus and chair of the department, and former Medical School associate dean and U-M vice president for research. The Edward T. and Ellen K. Dryer Early Career Professorship in Rheumatology was inaugurated in April. The Dryers were devoted to helping people affected by disabilities, and U-M has been a grateful recipient of their eponymous charitable foundation’s generosity since their deaths in 2001. Eliza Pei-Suen Tsou, Ph.D. (Fellowship 2014), assistant research professor of internal medicine, is the first Dryer Early Career Professor of Rheumatology. During an April ceremony, Cagri G. Besirli, M.D. (Residency 2010, Fellowship 2012), Ph.D., assistant professor of ophthalmology and visual sciences, became the Skillman Career Development Professor of Pediatric Ophthalmology. After her husband’s death in 1945, Rose Skillman created The Skillman Foundation, which is believed to have established the first professorship in pediatric ophthalmology in the world — inaugurated at U-M in the 1980s — and helped establish the Skillman Children’s Eye Care Clinic at the W.K. Kellogg Eye Center. The Susan Crumpacker Brown Research Professorship in Depression was celebrated during a ceremony in June. Susan Crumpacker Brown and her husband, Bob Brown, are devoted U-M alumni and supporters. After losing two friends by suicide, Crumpacker Brown collaborated with the U-M Depression Center to create the Kalamazoo Collaboration Care Project. Its success led to the creation of the professorship. Paul N. Pfeiffer (M.D. 2004, Residency 2008), associate professor of psychiatry and co-director of the Program for Mental Health Innovation, Services, and Outcomes, is the Crumpacker Brown Research Professor. Charles P. Friedman, Ph.D., chair of the Department of Learning Health Sciences, was recognized as the Josiah Macy Jr. Endowed Professor of Medical Education in June. Friedman joined U-M in 2011 as professor of information and public health and director of the Health Informatics Program. James O. Woolliscroft, M.D. (Residency 1980), then dean of the Medical School, created the Department of Learning Health Sciences in 2014, and Friedman became the Macy Professor. The endowment is made possible by the Josiah Macy Jr. Foundation, established by philanthropist Kate Macy Ladd in 1930. In July, the Kyung J. Cho Collegiate Professorship in Radiology was inaugurated. 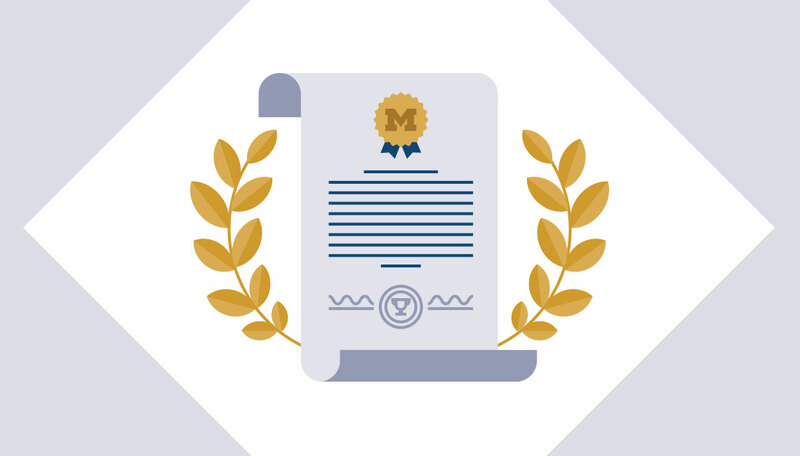 The endowment, created through gifts from Cho and others, honors the legendary radiologist whose contributions have impacted U-M for over 40 years. Cho is known for his work in interventional radiology. David Williams (M.D. 1979, Residencies and Fellowship 1983), professor of internal medicine and Cho’s former trainee, is the inaugural Cho Collegiate Professor of Radiology.